Cordes designs and manufactures highly functional and cost effective stair building equipment for wood stair builders. We have been building stair equipment since 1973 and built the world’s first true CNC stair stringer router in 1987 which is still in operation. Our stair equipment is built to last. Through the years we have listened to you the stair builder about how to make stair equipment like our stair router, wedge cutter and kerfing saw more functional. We listened; and we are building the best stair equipment available today. More recently we have added a stair clamp, tread return saw, panel clamp and a stair-template to our product line. Have a look at our stair equipment and feel free to call us. We would be pleased to send you pricing for all our stair machines. For data sheets on a specific piece of equipment or to watch a video of a machine running just click on the item to the left. 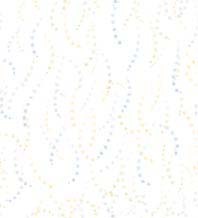 Our videos and data sheets are located at the bottom of the page for each machine. 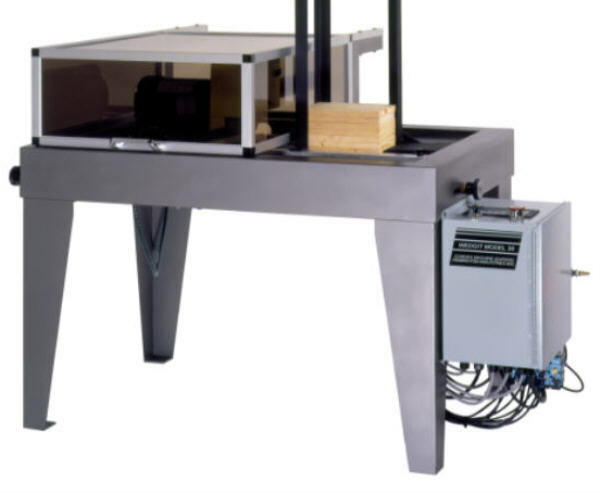 Our Stair-Rout™ CNC stair stringer router used for box stair construction is fully automatic with no setup time. 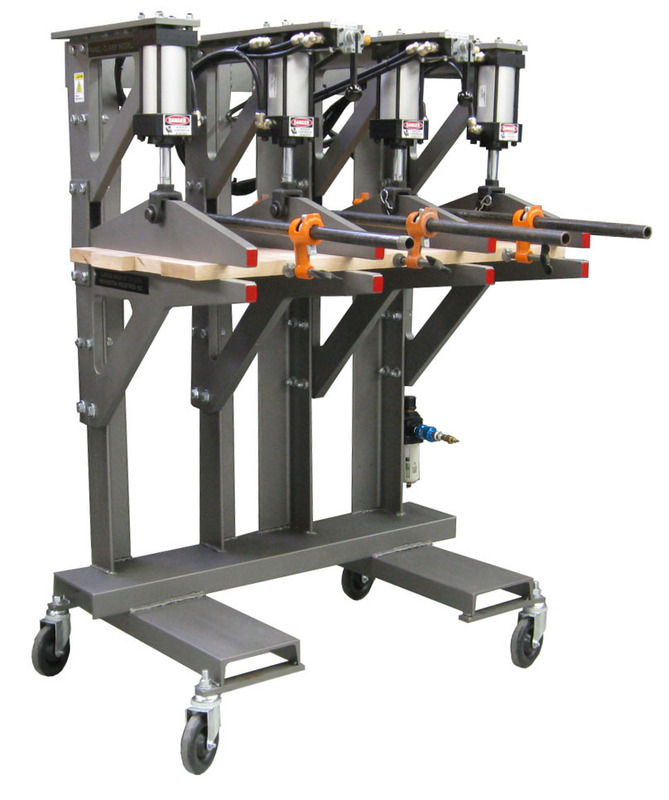 The stair router is designed for use by a low skill operator to rout box stair stringers or open stringers with a 45º cut for mating with a riser. A stair builder like you will work in fractions and so does our stair stringer router. Just match the numbers on the computer screen to the numbers on your box stair work orders and press start. You can also use our stair stringer router for other configurations including no riser stairs, pocket stairs, slanted risers, open stringers and extreme run sizes. Everything is done with just the push of a button. There is nothing to setup, just enter the rise & run and press start. The Wedgit™ automatic wedge cutter speaks for itself. 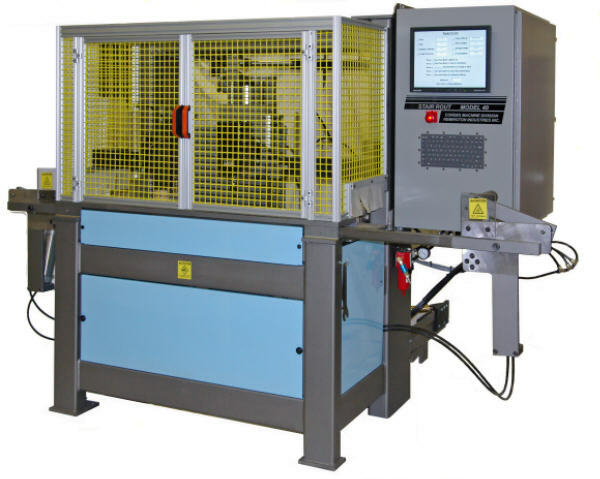 This tried and true 3rd generation wedge machine cuts wedges without an attendant. Change wedge cutter angle and wedge cutter thickness on-the-fly. A low skill operator has a choice of wedge cutting length and board thickness. The wedge saw is capable of 5" up to 11" wedge lengths. This is a single blade wedge saw with a full 2 HP wedge sawing capacity. Consume entire boards when making wedges, no scrap. This wedge saw is a stand alone/work alone wedge cutter, just load the hopper and press run. Kerf cut your riser boards for ¼ round bullnose and ½ round bullnose steps with the Kerf-It™ automatic kerf cutter. Adjust the depth of kerf cut or spacing between kerf cuts with just the turn of a knob. Of course repeating the same kerf cuts over and over again requires no adjustment. 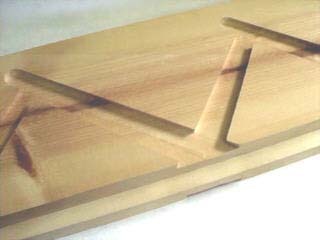 Get consistent kerf cuts enabling you to easily bend solid wood boards to any radius bullnose or bowed riser. 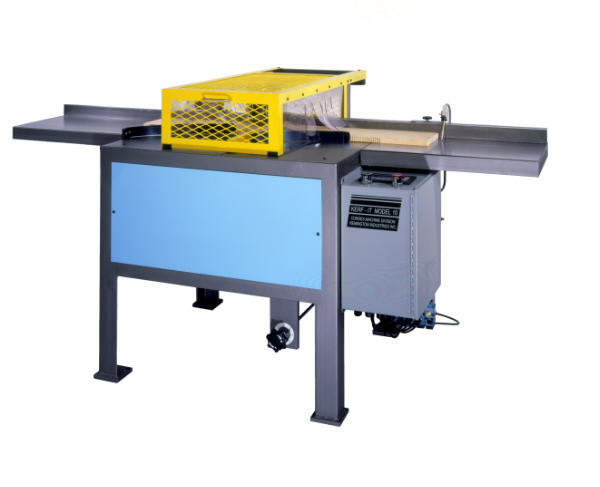 This starter step saw is a fully automatic kerfing saw. Now you can assemble box stairs quickly and accurately with the Stair-Clamp™. This dedicated use stair clamp can be used by one or two operators to clamp and hold stringers, treads and risers in place while glue, wedges and nails are added. Built with steel plate and steel tubing its heavy duty design is intended to last a lifetime. This rock solid design will clamp stairs with ease. Now you can have true and square clamping to assemble perfect box stairs every time. 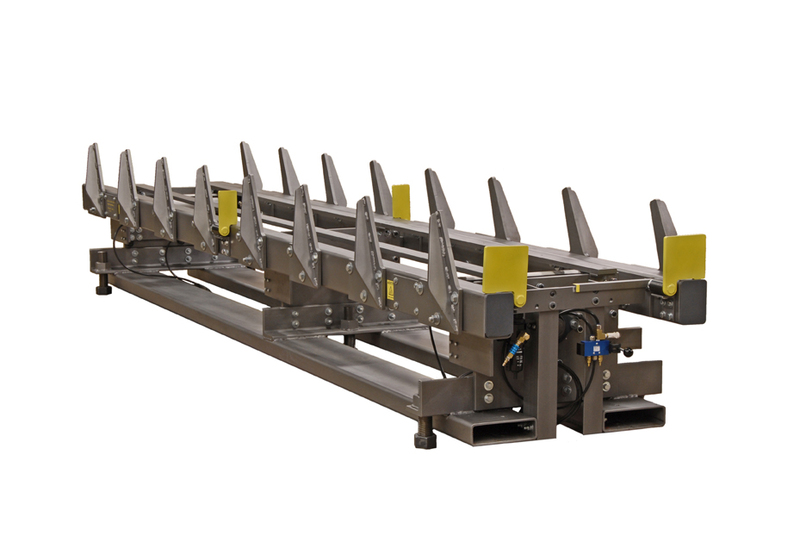 The Tread-Saw™ automatic tread return saw is great way to cut your costs when fabricating finished treads with returns. Our design integrates three up-cut saw blades to give you accurate trimming of your stair treads in preparation for nailing or gluing tread returns for finished stair treads. This easy to load and unload tread saw will cut stair treads fast and with high quality. Our simple to use design will allow almost anyone to cut stair treads for accepting the tread return component of your finished stair treads. 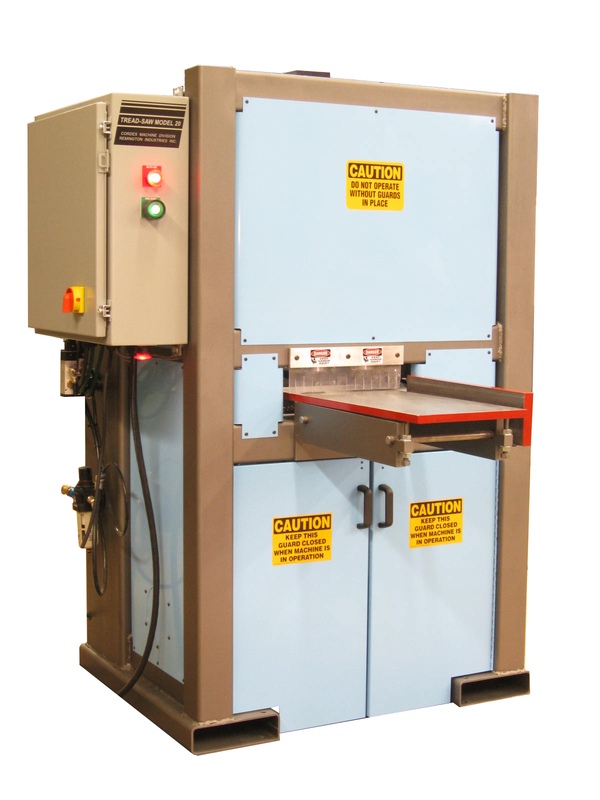 This stand alone machine has a small footprint and will fit in almost any part of your shop. Want to glue up your own stair treads? 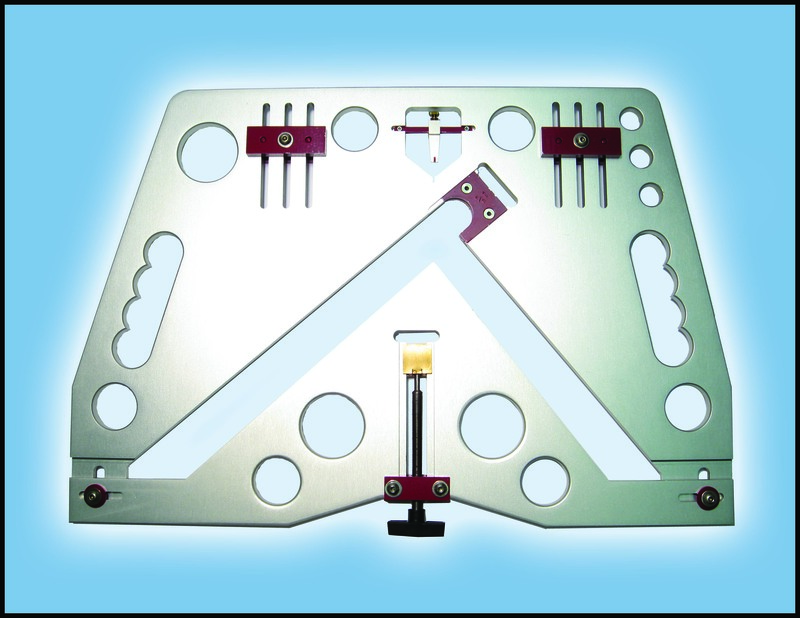 Now you can with the Panel Clamp-It™ machine. Fabricating panels and stair tread blanks has never been easier. Our stand alone panel or tread clamp will compress your planks of wood and allow you to apply glue and pipe clamps for true and accurate panels and treads. Assemble tread blanks quickly and accurately. This rock solid design will clamp tread blanks with ease. This tread clamp was conceptualized by active stair builders and then designed and built by Cordes Machine so that you can have true and square clamping to assemble perfect tread blanks for your stairs in your own shop. The latest addition to our product line is a Stair-Template™ for hand routing stair stringers either in your shop or in the field. This easy to use and inexpensive option for hand routing stair stringers using our modern day stair jig (now called a stair template) has brought back the art of hand building stairs. Designed by stair builders and built using modern equipment you have the best of both worlds, a highly functional tool that is built to last. Please don't miss out on purchasing your own stair template call us today. pictures above to view full size.